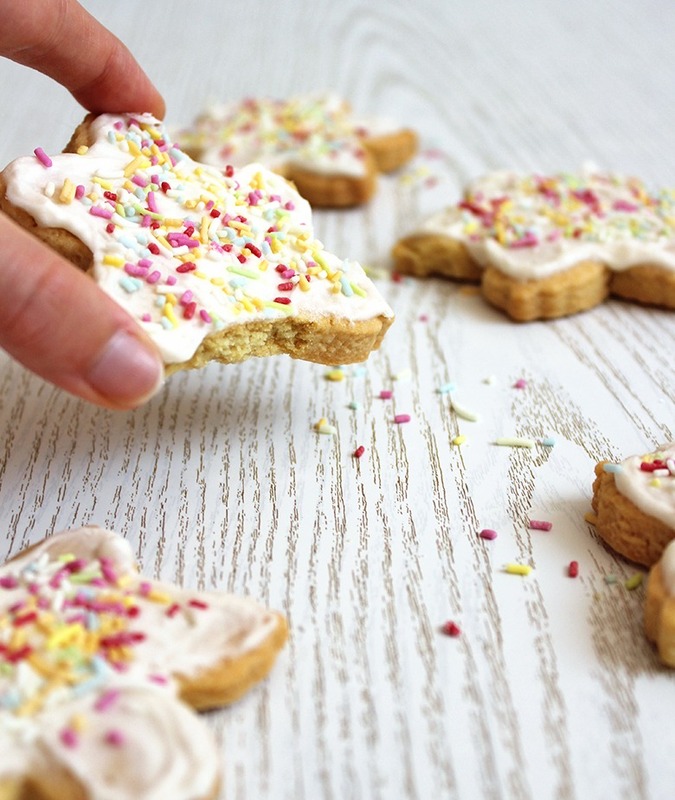 These Easy Soft Sugar Cookies are a great transition into Christmas baking when it isn’t quite December yet. 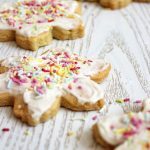 They’re a rolled cookie like gingerbread so you can use your festive cookie cutters and decorate them into intricate snowflakes, Santas and reindeer if you’re super keen and if you have the icing skills… which evidently I don’t. But I think there’s a childlike charm to my decorating method if I do say so myself. If you make these cookies, I feel it’s only fair to warn you that if you’re inclined to devour sweet things mercilessly you’ll likely have a hard time concealing that weakness here. 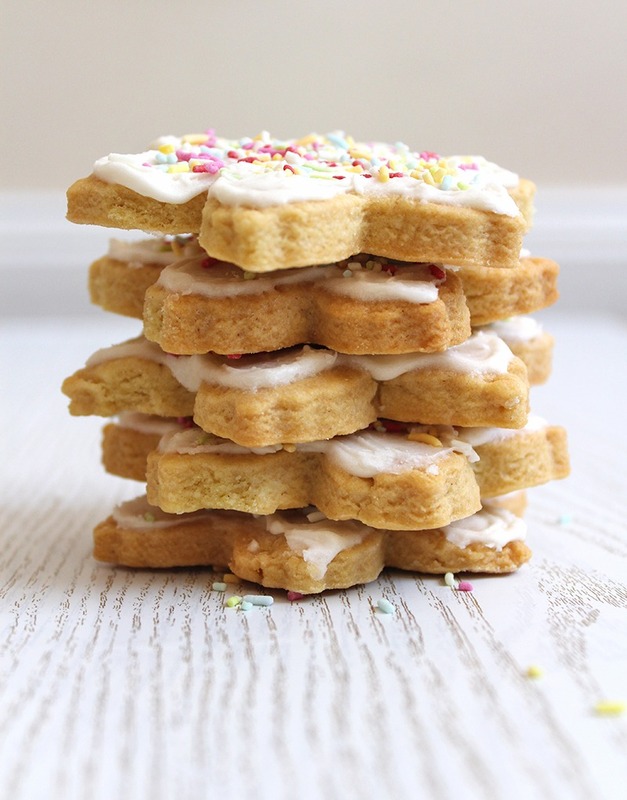 Everything about these sugar cookies is delicious; they have a crunchy outer edge, soft chewy center and icing that melts in your mouth. Making them is easy and fun. 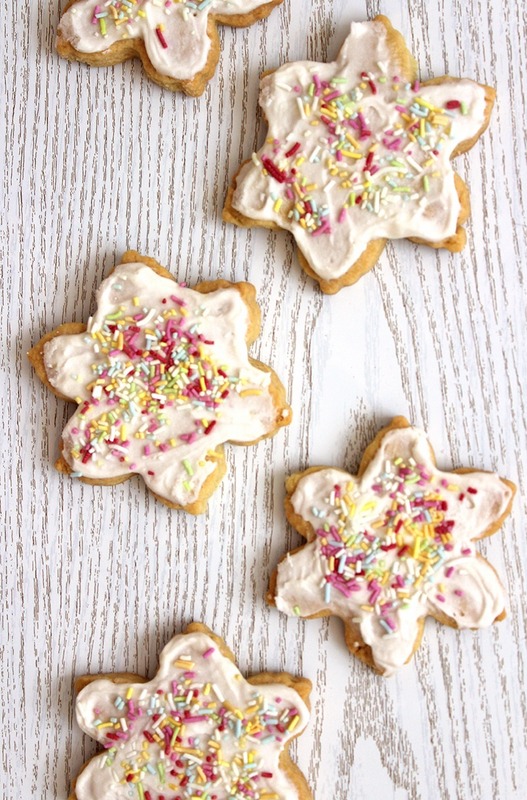 Decorating them is even more fun and is a wonderful way to get kids creatively involved in the kitchen. They then get to enjoy and share their cookies and learn to appreciate the process that goes into making food. Preheat the oven to 180°C (350°F) and line a baking tray with parchment paper. Cream the vegan butter and sugar in a large bowl and then mix in the vanilla extract. Add the dry ingredients to the wet ingredients and mix using a wooden spoon until it starts to form a crumbly dough, then you can ditch the utensil for your hands and add your plant-based milk. Knead the dough until it forms a solid ball. Next, flour your hands and a clean surface. Use a rolling pin to roll out the dough 1-3 cm thick (bakers choice). 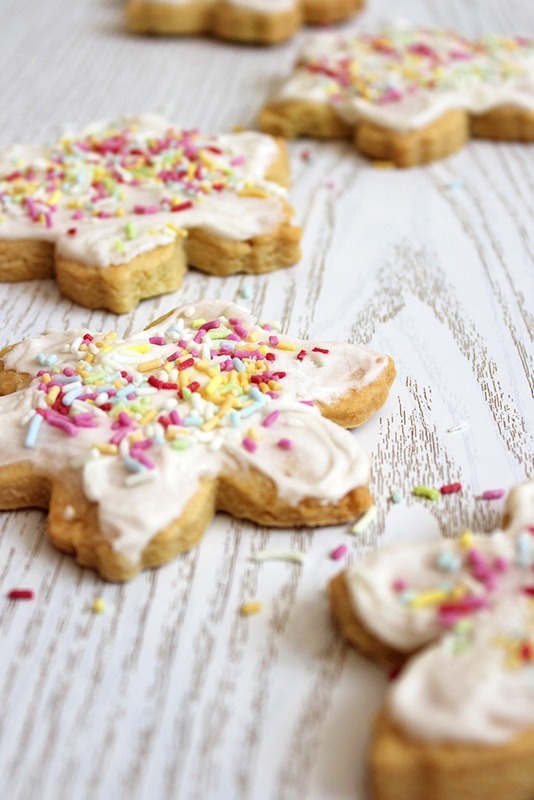 Use your cookie cutters to firmly push out your cookie shapes and then transfer them to your baking tray. Roll the remaining dough into another ball and repeat steps 5 and 6. Bake for about 15 minutes, watching that they don’t burn on the edges as all ovens are different. Remove from the oven and allow to cool completely before decorating otherwise your icing will melt. To prepare your icing: mix the icing sugar, vanilla extract and plant milk in a mixing bowl until you’re happy with the consistency, it should slightly runny with a smooth and shiny finish. Add your food colouring by separating the icing into bowls for different colours if needed and then let them set. Now you can have fun decorating!